For a good portion of the LEGO video game series lifespan, the experience was about the same from game to game. This was both a blessing and a curse. On the one hand, if you enjoyed busting LEGO bad guys into thousands of pieces and solving a few puzzles while reliving iconic pop culture franchises like Star Wars and Harry Potter, you knew what to expect. On the other hand, if you disliked annoying camera shenanigans, bad platforming elements, and maddening bugs, you also knew what to expect. Luckily for us gamers, the most recent LEGO games have moved beyond merely good to almost great. LEGO Batman 2 gave us a plot unique to the game, voice acting, a host of Batsuits, and a League of guest stars. LEGO Lord of the Rings featured an expansive world, intricate co-op, and the most cinematic feel of a LEGO game yet. Both of these are head and shoulders above previous LEGO titles. 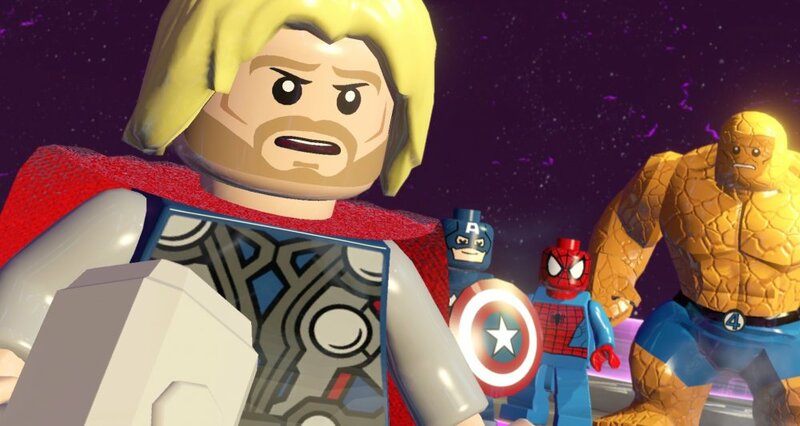 Now, LEGO Marvel Super Heroes has arrived, and it continues the upward trend, bettering its predecessors to achieve true greatness. 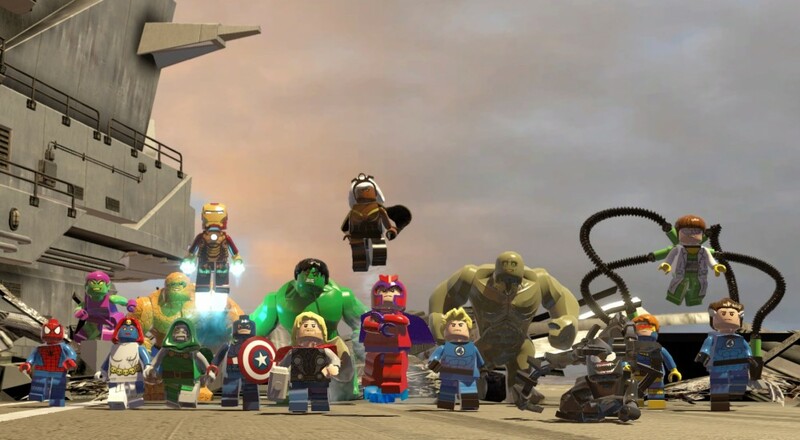 By far, the best thing LEGO Marvel Super Heroes has going for it is the massive selection of characters. The LEGO versions of Indiana Jones, Harry Potter, and even Lord of the Rings had plenty of fun heroes, but there were always a few missions where someone ended up playing as Sallah, Fang, or other, shall we say, less popular LEGO characters. LEGO Batman 2 fixed this problem by giving players access to the Justice League and a host of other DC heroes and villains. The problem with that latter game, though, was the drought of characters until the last quarter or so of the campaign. In our house, there are always arguments over who gets to play the “coolest” character, and I usually lose. I speculate this happens in most households, particularly those with younger kids. LEGO Marvel Super Heroes fixes this issue in grand fashion. By the time you are only a few missions into the story, you will have had access to dozens of super heroes. The first few missions wisely keep the focus on Iron Man, the Hulk, Captain America, and other members of the Avengers cinematic universe. But soon, Spider-Man and Wolverine show up, alongside the Fantastic Four and more. (It truly makes me long for a unified movie continuity free from studio rights, but I digress.) The only trouble you’ll have with deciding which player gets what hero will be curbing your desire to play them all! It’s not all A-listers, either; I am pretty sure I spotted Ego, the Living Planet on the main title screen, an obscure reference for sure. The game is chock full of awesome heroes, and I can’t imagine anyone’s favorite is missing. Page created in 0.3544 seconds.